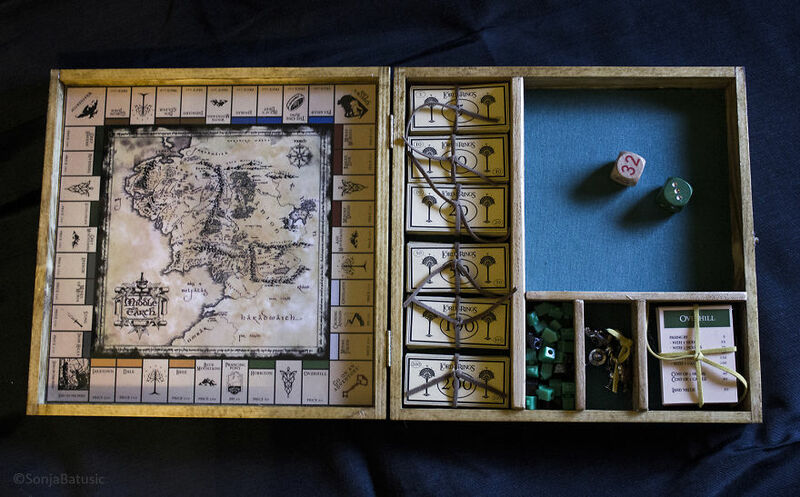 A few months back, I saw a “Lord of the Rings” Monopoly board game on Ebay and thought: “We wants it, we needs it!” (in Gollum’s voice). But then I took a closer look and saw that there is a parking lot in Middle-Earth. The board game was also expensive and the shipment would cost me double the price of the product. But mostly – that parking lot bothered me. And the policeman. 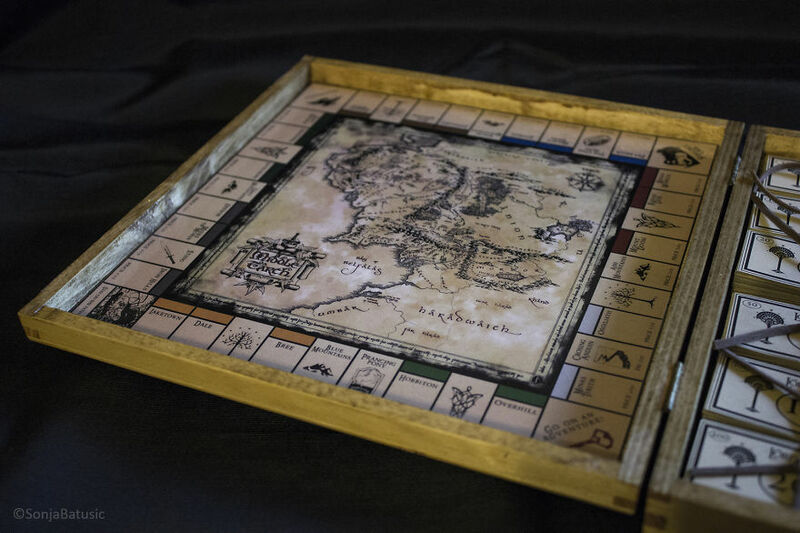 So I decided to make my version of the board game. 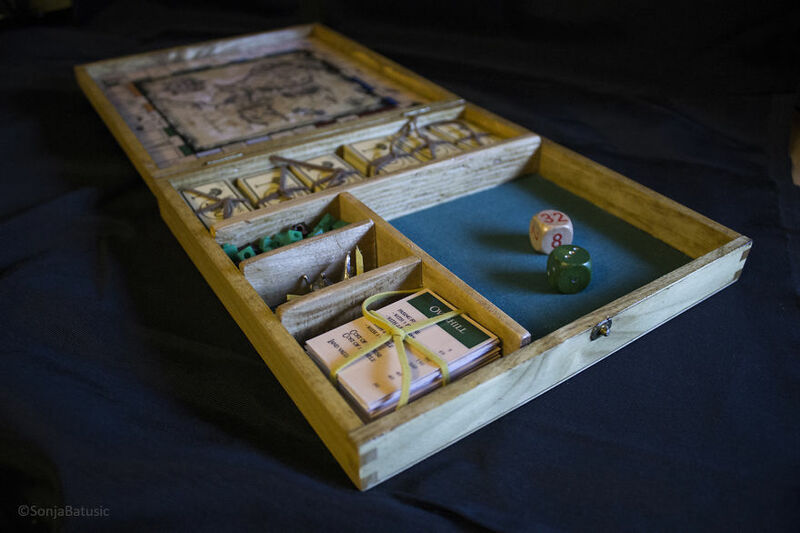 I found an old wooden box in the basement, wrote down the dimensions of the box and started thinking of ideas for the design of the board. 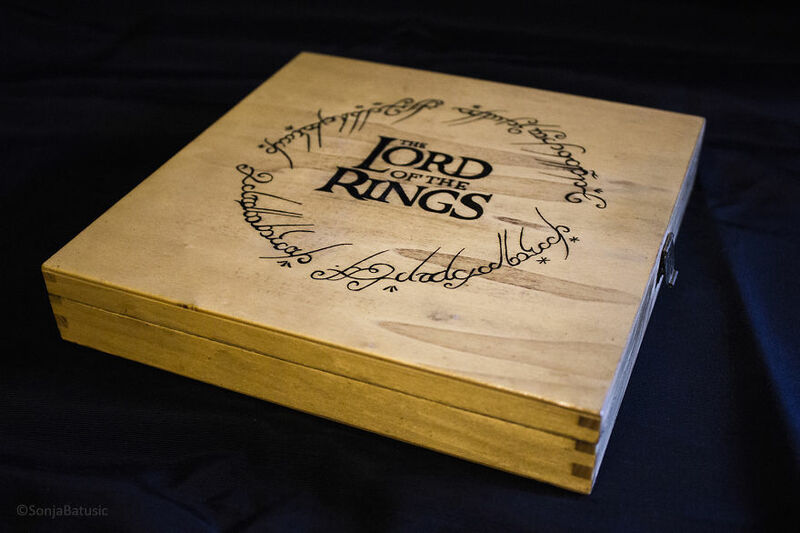 Since I’m a big fan of the “Lord of the Rings”, I wanted to be immersed in the story. So, instead of a parking lot, I put Weathertop. Instead of the policeman, I put Shelob… You get where I’m going with this. The board design was made with Adobe Illustrator, then printed and coated. In order to avoid a mess, I created wooden partitions inside the box – so the money, cards, dices, houses and metal figures wouldn’t mix. When I was finished I was happy and proud! I made something unique and something that I love. It took me two weeks to do it properly, but I think it was worth it. This is my precious. Will you marry me? ♥ ... Or can I marry your Monopoly? You do realize you could make a fortune if you were willing to replicate the process and sell them, right? 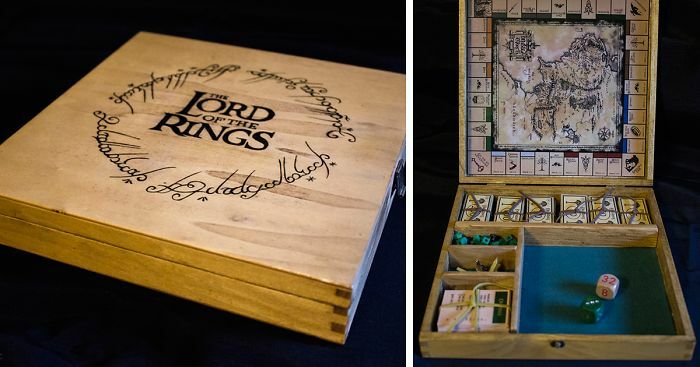 While I only wish I could afford it, there are LOTR fans I know who would easily pay $500 for that - maybe even more. ************* If you could find a supply of similar boxes, would you make it again if someone were willing to pay?